It is evident that meth production has moved south. South of Mexico that is, to Guatemala. This week, in the pacific coast port of Lazaro Cardenas, Mexican authorities made a seizure of 120 metric tons of a precursor chemical needed to manufacture meth. It was destined to Puerto Quetzal, Guatemala. This brings the total to 675 tons of precursor seized in December alone, and every bit of it was being transported to Guatemala. 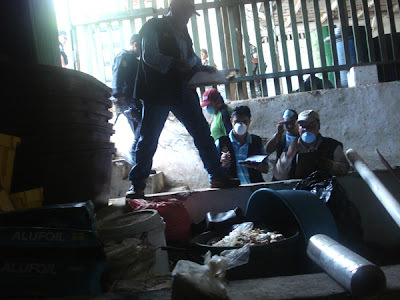 For their part authorities in Guatemala have seized 7900 barrels of precursors in the year of 2011. That amounts to 1600 tons, out confiscating Mexico's 1200 for the same time frame. 1600 tons is four times the amount seized in 2010. The five shipments seized in December originated in China then drop shipped in Mexico but headed for Guatemala for production. The Lazaro Cardenas Port is known to be used by the Sinaloa Cartel. The Knights Templar cartel is based in Lazaro Cardenas, however Los Zetas and Sinaloa cartels are the most active drug cartels in Central America, and reportedly Sinaloa has moved meth production into Guatemala on an industrial scale. "When controls over precursors were strengthened in the United States, manufacture shifted to Mexico, as Mexico has responded with strong counter-methamphetamine initiatives, manufacturing activities are increasingly reported from countries in Central and South America." Carlos Menocal the Interior Minister of Guatemala stated to the associated press that the Sinaloa Cartel has establish operations in Guatemala by forming an alliance with a gang led by Juan Alberto Ortiz Lopez, who goes by the moniker “Chamale”. Who was arrested in March but was considered the most important trafficker in Guatemala by the United States. "What we have found is that Chamale has links to the Sinaloa cartel," Menocal said, “ Those links include coordinating the processing or "cooking" of meth”. 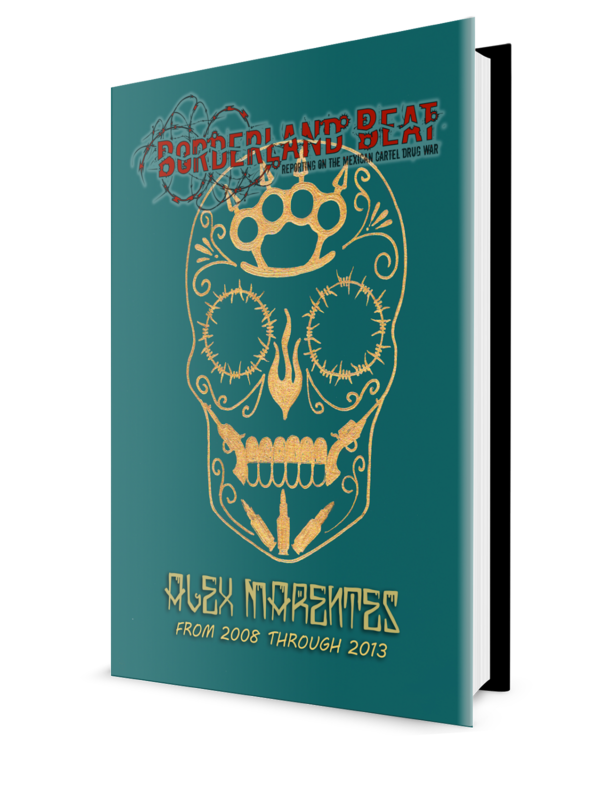 "An analysis by Guatemala's intelligence indicates the laboratories were managed by Mexicans," Menocal said. "They come to oversee the drug production process; Mexican chemists came to establish the formulas and local people talk about Mexicans who came and went, doing this work." Guatemala, a poor, ill resourced country will be incapable to be a challenge to powerful cartels such as Sinaloa and Los Zetas. Zetas are said to control 75% of the country with regions literally abandoned by the government. It would appear that the only impediments they would encounter are those from each other. 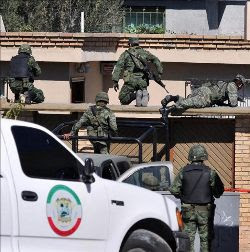 Six gunmen thought to work for the Los Caballeros Templarios drug cartel were killed in two separate clashes with troops in the western state of Michoacan, Mexico’s defense department said. The first incident took place around midnight Wednesday, when an army patrol confronted armed men in the municipality of Buenavista Tomatlan, the stronghold of the Caballeros. Soldiers killed three gunmen and seized three assault rifles, 1,000 rounds of ammunition and an SUV with California license plates, according to a statement from 21st Military Zone headquarters in Morelia, the state capital. One soldier was wounded in the battle. Three other suspected Caballeros enforcers died Thursday morning in a clash with troops in the village of La Yerbabuena. The dead men were part of a larger contingent that fled the village, leaving behind guns and three vehicles, the military said. Los Caballeros Templarios (Knights Templar) is a splinter group of the La Familia Michoacana mob that formerly dominated the illegal drug trade and other rackets in Michoacan. Troops this year have killed 91 gunmen working for the various cartels battling to control drug trafficking in Michoacan, the 21st Military Zone said. With more than 230 kilometers (143 miles) of Pacific coastline, Michoacan is a key transshipment point for South American cocaine destined for the United States. Costa Rica is Central America's most stable democracy, a peaceful country that abolished its army in 1948 and now draws nearly a million U.S. tourists a year to its national parks and beaches. But it's also right in the middle of the world's most lucrative cocaine trafficking corridor. As Mexican drug cartels push deeper into Central America, they've cast a dark shadow over Costa Rica's idyllic green image. Jim Damalas runs a tourist resort that taps into the green reputation. 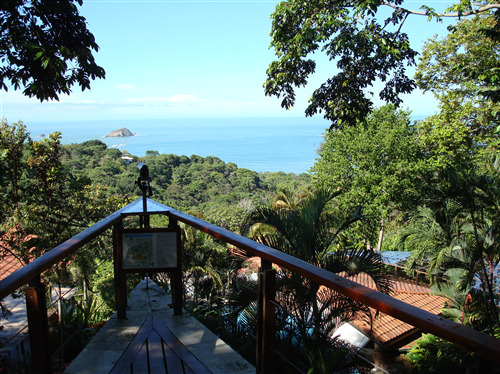 One of 60,000 or so U.S. expatriates living in Costa Rica, Damalas left a career in the Los Angeles advertising business to build an award-winning hotel outside the tiny town of Quepos, with sweeping views of the Pacific and its own rainforest preserve. The resort, called Si Como No, has every sort of green certification you can imagine, even tree bridges for the local monkeys to swing safely across the road. All of this — and Costa Rica's entire tourism-dependent economy — has been possible largely because of its reputation as a safe place that isn't like the rest of Central America. "People say in Costa Rica God's always watching over us. We don't have a lot of hurricanes, we don't have devastating earthquakes, we don't have devastating poverty; instead of having tanks and military, we have teachers and schools," Damalas says. But because there isn't a military and the police force has never had to be militarized, he says, "we are very vulnerable." Recent polls show that crime and security are the leading public concern now in this country of 4.6 million people. The same laid-back attitude and openness to outsiders that draws tourists has also attracted Mexican cartels and their Colombia cocaine suppliers, who warehouse drug loads here and move them up the coastlines or overland toward the U.S.
Local contacts are increasingly paid in raw product for their logistical help, so drug use has jumped, especially for crack cocaine, and Costa Rica's homicide rate has nearly doubled since 2004. 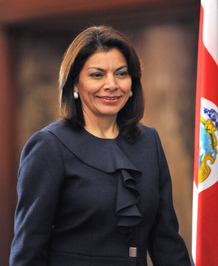 "I do not remember in our whole history a menace [like] this menace with organized crime," says Costa Rican President Laura Chinchilla. Chinchilla says Costa Rica's view of itself as a peaceful, law-abiding country in a poor, violent region is now being put to the test by a threat far greater than even the conflicts of the Cold War era. "During the '80s, you had forces fighting in the region, but they have a structure, they have an ideology, they were fighting for different ways of conducting the society — the problem was a political problem," Chinchilla says. "This has to do with the survival of the institutions. It doesn't matter if it is from the left or the right; it doesn't matter what kind of ideology your government has." Authorities here say recent arrests of police officers on corruption charges show the institutions are standing up to the power of the cartels, but Chinchilla and others acknowledge that the fight is only beginning. There is also a great deal at stake here for the United States as Washington's counter-drug role in the region expands. Costa Rica is still nowhere near as violent as Honduras or El Salvador, where the murder rate is more than six times higher, but there is a sense that the cartels' criminal expansion has to be checked somewhere. Costa Rican Coast Guard Lt. Rodolfo Murillo unfurls a map of the country and its long, jagged Pacific Coast. The walls are still bare at the agency's brand-new Pacific headquarters at Puerto Caldera, built with $3 million in U.S. funding. With the decline of local fisheries and new catch restrictions, Murillo says, the fisherman have turned to running million-dollar coke packages for the cartels. They pay well, he says, explaining how locals bring drug loads to shore or deliver gasoline out to sea for traffickers zooming north from Colombia in high-powered speedboats. The new docks here creaking in the waves have two berths for U.S.-donated interceptor boats designed to chase down the smugglers. The Coast Guard hasn't had any on the Pacific until now. But already officials say the smugglers are changing tactics to stay two steps ahead of authorities. They're hiding cocaine deep in the wells of fishing trawlers and building sophisticated semi-submersibles that cruise undetected far out at sea, well beyond the range of the new boats. A couple of decades ago, Colombian drug cartels dominated smuggling operations into the United States. In recent years, the Mexican cartels have taken over. And Mexico's brutal drug war over the past five years is now pushing some of the drug trade into the smaller, weaker nations of Central America. And the traffickers are increasingly active in the region's least-populated and most vulnerable country, Belize. President Obama added Belize to the "blacklist" of states considered major drug producing nations or transit countries. Douglas Singh, Belize's top police official, said he hopes it will lead to more assistance. "Many Belizeans look at the drug transshipment problem as not our problem," he said. "They look at it as a problem for the Americans or the Mexicans or somebody else. But I think we certainly are shortsighted in doing so. Because if we look at the Mexican experience, the impact of transshipment, being a country along that route makes us extremely vulnerable." Belize has not had the kind of brutal cartel violence now tearing apart Mexico and pushing into Guatemala next door. But drug-fueled gang killings are soaring in gritty Belize City. "The criminals have gotten so brazen that actually, just some months ago, they attacked a police station," said Russell Vellos, editor of Amandala, the country's largest newspaper. "In the past that was unheard of, attacking a police station. You crazy? But this is what has happened. Then what's next? What are you afraid to do next? Nothing." The U.S. has given Belize about $15 million in security aid in recent years, mostly vehicles, equipment and training. It's a sliver of the roughly $600 million in drug war funding that has been provided or promised so far to Central America, whose governments are considered especially vulnerable to the corrupting powers of Mexico's wealthy crime gangs. "We are still sleeping, where everyone else is fighting for their lives on all our fronts," said Capt. 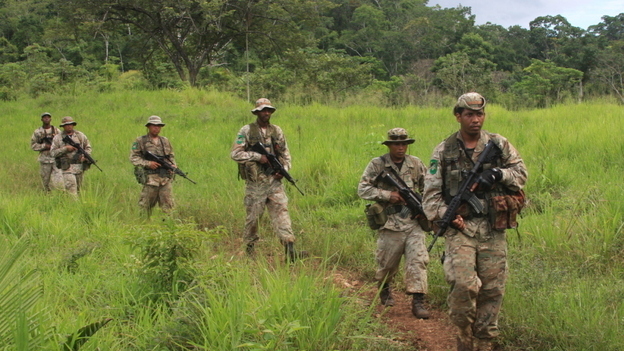 Ian Cunha, a Belizean military commander along the Guatemala border. "The threat is overwhelming, in that our country could be simply overrun in a very short instant." 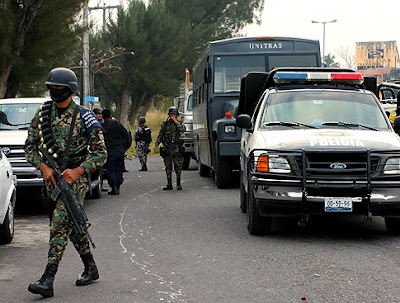 A total of 2,321 suspected criminals have died in clashes with army and air force personnel over the past five years, the Mexican Defense Secretariat said. Since President Felipe Calderon took office on Dec. 1, 2006, 356 people have been wounded and 41,023 others have been arrested in operations targeting drug cartels and other criminal organizations, the secretariat said. The figures, however, do not cover operations staged by the marine corps, which is part of the Navy Secretariat, and do not include army and air force casualties. Army and air force units were attacked 1,971 times in the past five years, the secretariat said. Calderon declared war on Mexico’s drug cartels shortly after taking office and deployed about 45,000 soldiers and 20,000 Federal Police officers to areas plagued by drug-related violence. The army and air force “follow the law” in all their operations, respecting human rights, the secretariat said. “In those cases where some effect on individual guarantees has been detected,” the armed forces have “cooperated with the agencies in charge of clearing up the incidents,” the secretariat said. Citizens have filed 5,962 complaints with the National Human Rights Commission, or CNDH, Mexico’s equivalent of an ombudsman’s office, against the armed forces during the Calderon administration. Only 92 of the complaints, or 1.54 percent of the total, resulted in CNDH recommendations of action against the army, the secretariat said, adding that 86.29 percent of the complaints ended up as closed cases. More than 50,000 people have died in Mexico since Calderon launched his war on the cartels, with many of the victims dying in attacks staged by gang enforcers. A former Federal Police regional security coordinator has been sentenced to 10 years in prison for providing assistance to the Sinaloa drug cartel, the Mexican Attorney General’s Office said. Javier Herrera Valles was given the prison time, a fine and banned from holding any public office by a court in the state of Nayarit, the AG’s office said. Herrera Valles provided assistance to drug lord Joaquin “El Chapo” (Shorty) Guzman’s Sinaloa cartel, the AG’s office said. “The investigation established that Herrera Valles worked with the Sinaloa cartel, taking advantage of his role as a public servant,” the AG’s office said. Herrera Valles, who had been a law enforcement officer for more than 30 years, provided protection to drug traffickers in Tamaulipas while serving as regional chief in the northeastern border state, where the powerful Gulf cartel operates. Drug traffickers paid Herrera Valles $70,000 a month for his services, the AG’s office said. Herrera Valles is also accused of having run his own criminal activities in the southern state of Guerrero, where he was in charge of numerous operations. The Sinaloa organization, sometimes referred to by officials as the Pacific cartel, is the oldest drug cartel in Mexico and Guzman, considered extremely violent, is one of the most-wanted criminals in Mexico and the United States, where the Drug Enforcement Administration is offering a reward of $5 million for him. A suspected leader of the La Linea gang was arrested by municipal police in Ciudad Juarez, a border city in northern Mexico, city spokesman Manuel del Castillo said. Julio Cesar Perez allegedly planned kidnappings, ran extortion rackets and ordered hits in Ciudad Juarez by members of La Linea, a gang that is considered the armed wing of the Juarez drug cartel, Del Castillo said. The 31-year-old Perez, who went by the aliases Arturo Bautista and Javier Gonzalez or "El Mil Amores." will be officially identified by the Defense Secretariat in the next few days, the city spokesman said. Perez was arrested along with three other suspects in an operation led by Juarez police chief Julian Leyzaola, Del Castillo said. The gang boss was arrested Wednesday morning after several men traveling in an SUV fired shots at a woman, killing her outside a gym. The woman apparently owned the gym in Ciudad Juarez, Mexico’s murder capital, and had refused to pay the gang protection money in an extortion racket, police said. Municipal police chased the gunmen, arrested them and found two firearms in the vehicle. The suspects identified their leader, who was at a safe house in downtown Ciudad Juarez, police spokesmen said. Perez and one of his right-hand men were arrested at the house, where police found firearms, tactical equipment, ammunition and drugs. Perez succeeded former La Linea leader Jose Antonio Acosta Hernandez, who was arrested in July and allegedly had a hand in 1,500 murders, Del Castillo said. The cartels, backed by hitmen from local street gangs, are trying to gain control of smuggling routes into the United States. Ciudad Juarez, where more than 9,800 people have been murdered since 2008, has been plagued by drug-related violence for years. The killing has not slowed this year, with about 2,000 people murdered in Juarez. A Sinaloa cartel member who was the subject of a $5 million reward being offered by the United States was arrested at the Mexico City international airport, the Public Safety Secretariat said Wednesday. Luis Rodriguez Olivera, El Güero, was detained Tuesday after he was spotted by a group of Federal Police officers, the secretariat said. The 39-year-old suspect also used the alias Jose Luis Sanchez Jimenez. “This suspected criminal is accused of money laundering, as well as criminal conspiracy to import, possess and distribute cocaine in the United States, where there is a warrant out for his arrest with the aim of international extradition,” the secretariat said in a statement. Rodriguez Olivera, who was born in Tototlan, Jalisco, is the subject of an arrest warrant issued by a federal court in New York on May 22, 2010. The suspect, according to intelligence reports, smuggled cocaine into the United States via Texas. Rodriguez Olivera and his brothers, Esteban, Daniel and Miguel, ran the Los Gueritos gang, which smuggled several tons of cocaine into the United States between 1996 and 2008, the secretariat said. 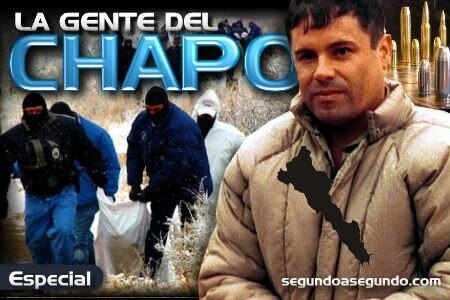 The gang reportedly works for the Sinaloa cartel, Mexico’s oldest and most powerful drug trafficking organization. Of the other brothers, Esteban was arrested in Mexico in 2008 for extradition to the United States, Miguel died in Yucatan state in August and Daniel remains a fugitive. Luis Rodriguez Olivera was taken to a federal prison, where the Attorney General’s office will take custody of him. 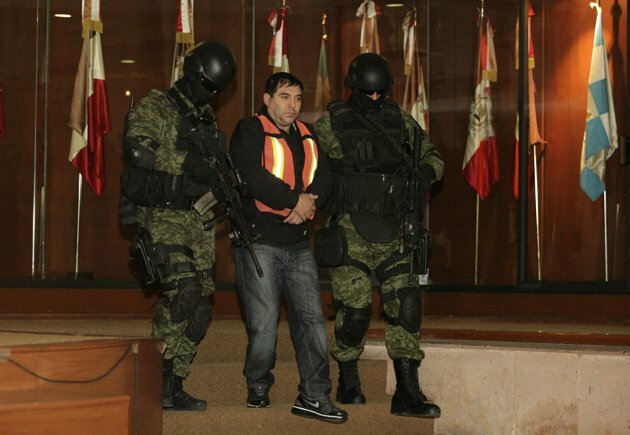 This is the second arrest in the past week of a powerful Sinaloa cartel member. 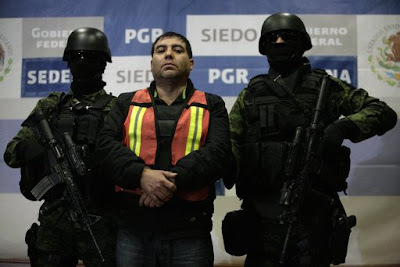 Felipe Cabrera Sarabia, suspected of being in charge of the Sinaloa cartel’s operations in Durango state and of being the security chief for Guzman, was paraded before reporters Monday in Mexico City. Cabrera, who was captured by army troops last Friday, is being held in preventive detention for 40 days, allowing prosecutors to gather more evidence against him. Army special forces troops detained Cabrera in Culiacan, the capital of Sinaloa state. Cabrera was the “right-hand man” of Guzman and ran the criminal organization’s business in Durango and the southern part of Chihuahua state, officials said. Cabrera supposedly served as Guzman’s security chief at his headquarters in the mountains of Durango, where U.S. officials suspect Mexico’s most-wanted man has been hiding for several years. The Sinaloa cartel, according to intelligence agencies, is a transnational business empire that operates in the United States, Western Europe, Eastern Europe, the Americas and Asia. CDG Responds to Christmas Message by "La Ultima Letra"
This is a video by Gulf Cartel (CDG) responding to a Christmas message from a video by Los Zetas where they executed three Golfos. CDG denies any attempt against any government officials or any government agency, but are merely targeting Zetas. They say they do not target innocent people, but Zetas. They also blamed a municipal police commander Ramon Rodriguez Rivera of Jerez of capturing a family and turning them over the Los Zetas, they are asking what they have done to the children that have suddenly disappeared. They ask the commander to answer to the families of what he has done. They go on to warn Z40 and Z42 of what they are going to do to them as they are presented for execution as pigs. "Dear Wonderful Daddy, I know we will make it there and back safely". 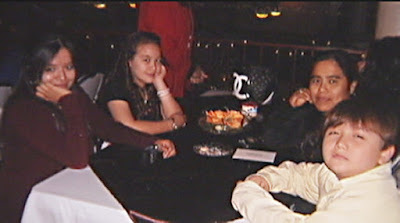 Left to right:Cristina, Angie and Little Mike. Crisitna was killed. Perhaps you also have wondered why, if the father was so worried did he not accompany them on the trip. Sadly it becomes all too clear and complicated as the Hartsell family saga unfolds. As it turns out Mike Sr. could not join them even if he wanted to. Because Mike Sr. is serving a six year prison sentence for committing prohibited sexual conduct with his now 18 year old stepdaughter Karla. The sentence was part of a plea bargain he agreed to. He has both denied the charge and confessed. His attorneys attribute that to the Huntington’s disease he suffers from. Surprisingly inappropriate sexual behavior is in fact one of the symptoms of HUNTINGTON'S DISEASE. Paul Enlow, Hartsell’s Fort Worth attorney, has been seeking probation or early parole that would allow Hartsell to be with his two surviving children. "These kids desperately need their daddy," Enlow said. "Their grandmother is crying, saying they need their daddy and [she and her husband] just aren't able to take care of them -- one, a Downs syndrome child, who needs a lot of help, and this boy, who is so traumatized." Enlow further stated "These kids desperately need their daddy," Enlow said. "Their grandmother is crying, saying they need their daddy and [she and her husband] just aren't able to take care of them -- one a Down syndrome child, who needs a lot of help, and this boy, who is so traumatized." His latest collision with the law was not Hartsell’s first. He has a criminal record dating back to 2003 which includes a conviction for “family violence”. There is no doubt the children desperately want their father with them. However if one simply takes the argument of Hartsell's attorney that Huntington’s manifests in behavior change, it would appear the children are better served with their father remaining in prison. A call for comment to the county district attorney’s office was answered by a woman who wised to remain anonymous, saying the office has no comment and that "the case is over with". In one of his first interviews since returning to North Texas late Tuesday with his 15-year-old sister, Angie, Mike talked to the Star-Telegram on Wednesday about the horror of that day, four days before Christmas. He also talked about missing his father, who was recently sentenced to six years in prison on a charge of prohibited sexual contact. His paternal grandmother, Margaret Schneider of Cleburne, is working to get his father released from custody. Mike -- who family members say has been uncharacteristically reserved and quiet since returning home -- said he can't stop thinking about his mother, his sisters and the deadly bus ride he knows he was fortunate to survive. “I couldn't believe it happened," he said. "It feels like a dream.” ‘I want to be with him. The Hartsells had gone to Mexico to be with his mother's family against the advice of their relatives in Texas, who were concerned with the dangerous conditions there. The American consulate has asked U.S. citizens to use caution when traveling to Veracruz and to avoid intercity travel at night. Mike said the bus they were riding on was driving through a rural area when it was suddenly stopped and he saw Mexican robbers -- who he called "Mafia" -- board. They shot the driver and began walking through the bus, slapping and threatening passengers. When one of the robbers approached his sister, Angie, who has Down syndrome, his mother told the man to leave her alone, saying "she's special. "But "he slapped my sister and my mom went over and started hitting him," Mike said during a telephone interview conducted at his grandmother's home. The man spoke in Spanish, shoved Maria Hartsell to the floor of the bus and left. Then he returned quickly, this time carrying a gun. “He shot my mom and she fell down," Mike said quietly. His mother fell back on Karla, and as the man kept shooting, the bullets passed through Maria Hartsell, also killing her oldest daughter, family members said. Maria, Karla and Cristina were buried in Mexico after the family couldn't raise the $6,000 the Mexican morgue said was necessary to bring them back to Texas. He said Mexican officials gave him his mom's purse and he often touches it and looks through it. "I'm thinking about her a lot," he said. 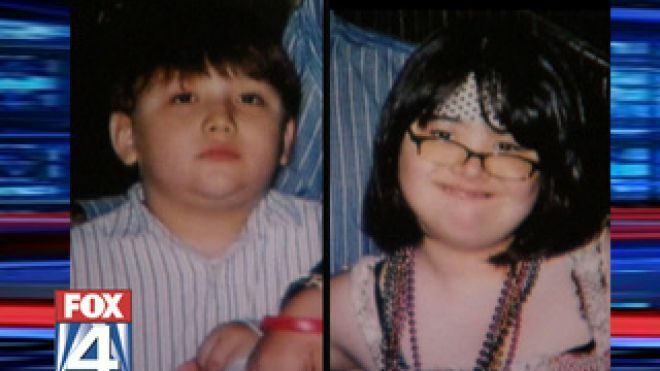 After several days, family members were able to pick up Mike and Angie, who went into shock during the shootings, and bring them back to the United States. Mike has been to the hospital for a sore throat, some bumps and a rash on his hands. He also got medicine for a virus he got from tainted drinking water. Schneider and Fort Worth attorney Paul Enlow are trying to contact criminal justice officials, seeking some sort of probation or early parole that would allow Mike's dad -- who has Huntington's disease that leads to mental and physical illness -- to be with his surviving children. The father, whose name is also Mike Hartsell, agreed to a plea bargain this month with the Johnson County district attorney's office that includes a six-year sentence for committing prohibited sexual conduct, Enlow said.The district attorney's office did not return a telephone call Wednesday from the Star-Telegram seeking comment. The elder Mike Hartsell was convicted of having improper contact with his stepdaughter Karla -- a charge he both denied and confessed to at one point after lengthy interrogation, which Enlow chalked up to his illness. 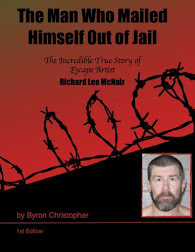 No one has elaborated about the charge, saying only that it involves prohibited sexual conduct under Section 25.02 in the Texas Penal Code, which notes that sexual activity is a crime between many categories of people -- including stepparents and their current or previous stepchildren. In this photo taken Dec. 24, 2011, a burned out vehicle stands by the of a road near the town of Ixtlan de los Hervores, state of Michoacan, western Mexico. The body of a U.S. teenager was found in the trunk of a burned-out car in western Mexico along with the bodies of two other youths, prosecutors said Tuesday. An employee of the state prosecutors' office in Michoacan state said the car holding the remains of the three young men was found on the side of a rural road on Christmas Eve. The young men had last been seen on the night of Dec. 23. The employee, who was not authorized to be quoted by name, identified the dead American as 18-year-old Alexis Uriel Marron. Prosecutors are looking into robbery as a possible motive because none of the men's possessions were found in the car. But the area has also been the scene of bloody turf battles between drug gangs. The Knights Templar and Jalisco New Generation cartels are believed to be active in the area. Marron was a student at Rolling Meadows High School in suburban Chicago and had relatives throughout the area. Marron's cousin, Danila Zendejas, told Chicago television station WLS that she considered him to be a brother. "He loved his nieces," she said. "And he didn't have time to get to know one of them, to see her grow." U.S. State Department spokesman Noel Clay said the agency was working with embassy officials to get more information. Mexican Consulate officials in Chicago said they were aware of reports of Marron's death and were ready to help family if requested. A memorial service for Marron was planned Tuesday evening in his home town of Rolling Meadows. The U.S. Embassy in Mexico City said in an email message that it was aware of reports that Marron had been killed, but was working to get more information. The other two victims were identified as Mexican men aged 21 and 24. All three were from, or had family in, the nearby village of Quiringuicharo, Michoacan. Their bodies were found on a two-lane road near the border with Jalisco state. Earlier in December, two other bodies were found in a burned-out vehicle on the same stretch of road. The victims have been identified as two Mexico City residents, but there was no immediate information on the motive in those killings either. An army raid on a ranch in Mexico's Sinaloa state busts a crystal meth drug laboratory in the latest blow to the country's powerful cartels. On December 24th hacker collective Anonymous stole credit card info and other sensitive data from U.S. security firm Stratfor. Anonymous claims it obtained personal information about the company's high-profile clients as well as thousands of credit card numbers, which were then used to make donations to charities like Save the Children and the Red Cross. Anonymous, reported to be a loose-knit group of hackers, became famous for attacking the companies and institutions that oppose anti-secrecy website WikiLeaks and its founder Julian Assange. 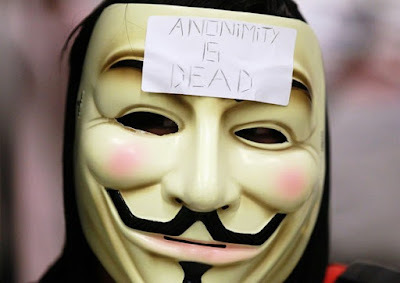 Anonymous hackers broke into web servers of Stratfor and copied 200 gigabytes worth of data. The hackers have already posted details about Stratfor customers who purchased Stratfor’s online newsletter. Hackers provided a link on Twitter to what they said was Stratfor's private client list, which included the US Defense Department, Army, Air Force, law enforcement agencies, top security contractors and technology firms like Apple and Microsoft. • 50,277 unique credit card numbers, of which 9,651 are not expired. • 86,594 e-mail addresses, of which 47,680 are unique. • 27,537 phone numbers, of which 25,680 are unique. • 44,188 encrypted passwords, of which roughly 50 percent could be easily cracked. On their database, that at this point appears to be compromised, there is sensitive personal information of subscribers in the server. The information includes credit cards numbers, e-mail accounts and addresses. Stratfor looks especially bad in this instance because the credit card data was not encrypted, which means it was much easier than usual for Anonymous to steal and crack open. It’s quite the amateur mistake for a so-called “intelligence” firm. The hackers could easily have more information than what they have posted. Several reports indicate Anonymous will next release more than 3.3 million client e-mails. The unoffical voice of Anonymous Barrett Brown stated that "Stratfor was not breached in order to obtain customer credit card numbers but rather, the operation was pursued in order to obtain the 2.7 million e-mails that exist on the firm's servers. 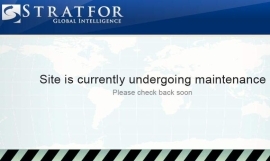 This wealth of data includes correspondence with untold thousands of contacts who have spoken to Stratfor's employees off the record over more than a decade. Many of those contacts work for major corporations within the intelligence and military contracting sectors, government agencies, and other institutions." Could this include emails and content from Mexican sources who potentially provided intelligence information to Startfor? Will their identity and sensitive information already compromised and soon to be published? This possibility must be making a lot of people very nervous indeed and if by any chance it involves sources on the Mexican side, it could also prove to be extremely dangerous. It wasn't long ago when Anonymous released an Internet video threatening vengeance on arguably one of the world's most savage and violent criminal outfits: Mexico's Zetas drug cartel. Note: "Seeing the baby is something I wish I had not seen and may not be something easily tolerated by some folks..."
A toll of 16 people left for dead by sicarios in the north of the Mexican state of Veracruz. The attacks occurred near the border of Tamaulipas in the municipalities of Pánuco and Tantoyuca. "It is presumed that buses were intercepted at dawn at different times," said the spokesman of the Government of Veracruz, Gina Domínguez. "They are interrogating witnesses to find out what was the motive that led the attack on these buses." he added. 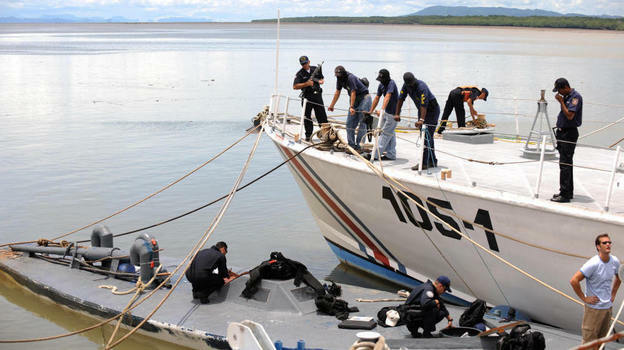 Governor Javier Duarte condemned the acts and ordered reinforced surveillance in the northern part of the state to provide greater protection to the Veracruz in the region. The Chief Executive sent his condolences to the families of the victims and declared his determination to continue towards establishing tranquility for the inhabitants. Below is a video that reveals personal information, fotos and a heartbreaking letter from 13 year old Cristina written to her father in an attempt to quell his concern for their safety. "Dear Wonderful Daddy, I know we will make it there and back safely". Cristina, was shot and killed after she attempted to protect her sister Angie. 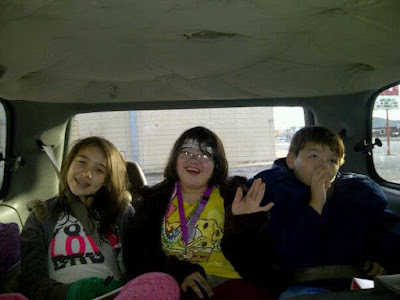 Angie, who has downs syndrome, was slapped by one of the killers, promting Cristina to rush to her aid. She was murdered for her heroic effort. 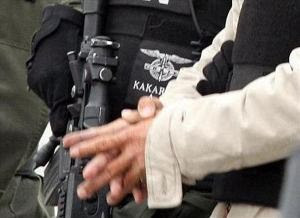 Members of the Mexican Army (SEDENA) arrest Felipe Cabrera Sarabia (aka) "El Inge" as a result of a military intelligence operation in Culiacan. Mexico City, Mexico. 26th December 2011. 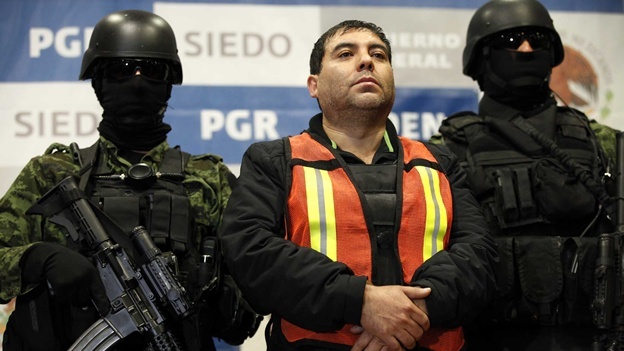 The Mexican army says it has dealt a significant blow to the powerful Sinaloa drug cartel with the arrest of the cartel leader's security chief. As part of the strategy against organized crime "Operation Laguna" and against drug trafficking in Mexico, the mexican army managed to arrested Felipe Cabrera Sarabia, (aka) "El Inge" lieutenant responsible for drug trafficking and violence by the criminal organization "Pacific Cartel or Sinaloa Cartel" in the state of Durango and southern Chihuahua. The surveillance of his movements allowed the military to locate the building where he had taken refuge creating a delicate operation that required careful planning in an attempt to capture him in a safe manner to avoid collateral damage by this elite units of the Mexican armed forces. Once in custody he was released to federal authorities. It is important to note that during this operation use of force was not necessary to take him into custody. Suspect Felipe Cabrera Sarabia also known as "El Inge" is being presented to the media in Mexico City December 26, 2011. Cabrera Sarabia is suspected to be the security chief of the country's most powerful drug lord, Joaquin "Shorty" Guzman. According to a spokesperson, Cabrera Sarabia was arrested in Culiacan, state of Sinaloa and is accused of kidnapping, extortions, arson and secret burials. Sarabia Cabrera integrated a criminal group composed of his brothers Luis Alberto, Jose Luis and Alejandro, who initially engaged in activities of planting and cultivation of marijuana in the mountainous area of the state of Durango. Having differences with Mario Nuñez Meza "El M-10", leader of the criminal group "Los Ms" began a struggle for control of the production areas in southern Durango and Chihuahua, causing a high rate of violence that manifested itself through clandestine burials, kidnappings, extortion, burning of businesses and homes and displays of narco-messagese against the public and other antagonistic groups. Operation "Laguna" was able to obtain information that led to the location and arrest of this important drug trafficker, an operation that has also managed to reach other past achievements in their effort to combat drug trafficking that highlights; the detention of 23 leading members of the leadership structures, and the disruption of operations of both "Zetas" and "Pacific Cartel" that included, drug dealing, the financial and communications in the region of the Laguna District. These actions are made ​​without distinction of what drug trafficking organizations they belong to, as they are all the same criminals seeking at all times to refine their operational capacity. 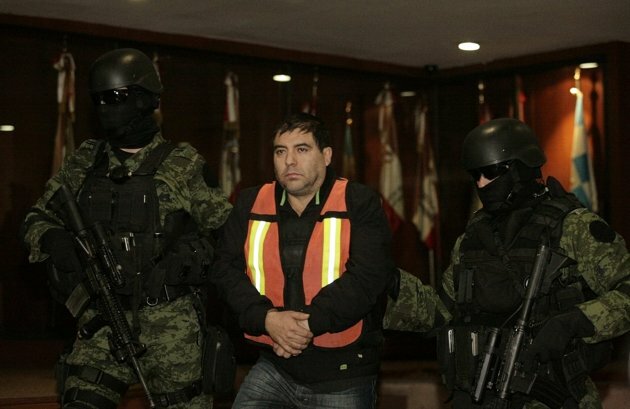 The extent of violence that Sarabia Cabrera was capable in order to maintaining control of his criminal activities allowed him to climb in importance within the organization of "Chapo Guzman and the Sinaloa cartel," managing to be instrumental in the movement of drugs, including providing security to El Chapo in its area of ​​operation in the Sierra de Durango. 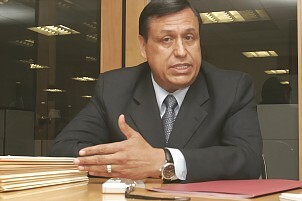 During the arrest of Felipe Cabrera Sarabia the military seized firearms, computer equipment and various false documents. The property and equipment were turned over to the Agent of the Federal Public Ministry assigned to the Office of Special Investigations into Organized Crime (SIEDO) in Mexico City. 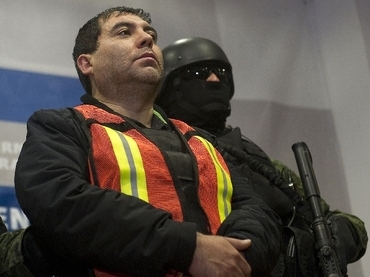 Mexican army: "Ally's arrest is blow to 'El Chapo'"
"You can't apply a strategy from a desk. You have to apply it in the street." - Julián Leyzaola, Chief of Police in Ciudad Juárez, Mexico. 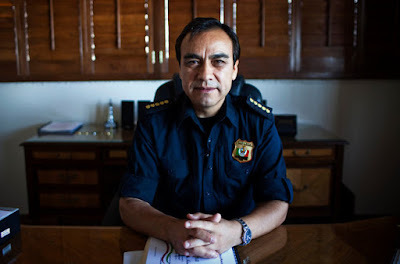 JUST a few days into his new job as the police chief here in Mexico’s longtime murder capital, Julián Leyzaola said, he received a phone call from the boss of a crime syndicate named La Linea. Mr. Leyzaola had been threatened before, quite often, in his last job as the head of public security in Tijuana. Chief Leyzaola, 51, a trim former military officer with a flair for drama, smiled at the recollection. The call came in March. In July, he arrested El Diego and his main collaborators, including several police officers. “I don’t dialogue with delinquents,” he said. But ever since that victory over La Linea, Chief Leyzaola — already Mexico’s most renowned and controversial policeman — has been under a spotlight that keeps getting hotter. Positive and negative developments have intertwined: violence has declined in Juárez, with murders down by around a third over the last year; at the same time, complaints of human rights abuses by the police have increased, including some against the chief himself; and now that La Linea is gone, one of its rivals, the Sinaloa cartel, has become more powerful. This appears to be the Leyzaola package. A similar dynamic played out during his time in Tijuana from 2008 through 2010, and just as residents there are still trying to make sense of his approach, the people of Juárez are also now scratching their heads with cautious awe. IN a wide-ranging interview at his office here, Chief Leyzaola said he had long aimed to destroy the “narco dream” by showing that the authorities could take away “their guns, their cars, their drugs, their money.” Like a boxer or wrestler, he treats his tough-guy image as a necessary tactic. In Tijuana, he punched a dead cartel gunman in the face as bystanders watched. There and here, he insists on calling criminals “mugrosos,” or slimeballs. Specifically, he says he has calmed Juárez by dividing the city into sectors and locking down troubled areas, starting with the central business district where La Linea was based. For months at a time, he said, he deployed the police to stop and question everyone going in and out of certain neighborhoods. Critics contend that while the effort destroyed La Linea, an especially violent gang implicated in the 2010 massacre of teenagers at a house party and the killing of a United States Consulate worker, it has also led to unjustified arrests for anyone young or poor who looks like trouble. Chief Leyzaola has also been accused of personally beating prison inmates with a two-by-four after a riot at the local jail in July. An American who has since been released said he saw the chief hitting inmates. More recently, two other prisoners accused the chief and seven other officers of killing a friend after the three men were arrested together in November. Though his office did not respond to requests for comment on these specific beating and homicide allegations, Chief Leyzaola has not denied using arrests and “intense, harassing patrols” to break the link between petty criminals and organized crime. Young people, he said, must understand the consequences of claiming to be a big shot. Many residents do not seem to mind. They had been complaining for years about local thugs taking advantage of anarchy and fear to extort their neighbors. Even human rights advocates like Mr. de la Rosa have acknowledged that there are “pervasive interests” determined to take down Chief Leyzaola, who survived his latest assassination attempt in June. YET, his legal problems continue to pile up. Mr. Leyzaola is now scheduled to appear before a judge to address allegations tied to his time in Tijuana. A recent report from the Human Rights Commission there argued that he and several subordinates tortured four police officers suspected of corruption in 2010. An earlier report linked him to the deaths of five people accused of killing police officers in 2009. Despite the unstoppable wave of violence, Mexico made some key arrests of Mexican cartel bosses in 2011. A series of shootouts between suspected gunmen and police in Saltillo, the capital of the northern Mexican state of Coahuila, left three people dead and a fourth person wounded, prosecutors said Sunday. “The State Attorney General’s Office reports that in the city of Saltillo, Coahuila, on Dec. 24 of this year, a report was received of armed persons aboard a vehicle,” the AG’s office said in a statement. State police officers intercepted a vehicle carrying three suspected gunmen at the intersection of Nazario Ortiz Garza avenue and Rufino Tamayo street in Saltillo, the AG’s office said. The occupants opened fire with rifles on the officers, who managed to return fire and kill the gunmen. A search of the vehicle, which had been reported stolen in the city of San Luis Potosi, turned up three assault rifles, including an AR-15 and two AK-47s, the AG’s office said. Gunfire was reported later in the day on Christmas Eve near a shopping center and the security forces responded, officials said. “The soldiers who went to the place seized three vehicles, and a 29-year-old male was wounded in the leg during the incident,” the AG’s office said. More than a dozen shootouts have occurred in Saltillo this month, with some pitting gunmen against rivals from other gangs and others involving gunmen who engaged the security forces in gunfights. 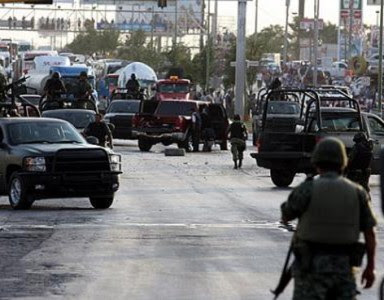 The rival Los Zetas and Sinaloa cartels have been battling for control of several cities in Coahuila, which has become one of Mexico’s most violent states this year. Mexican federal police arrested a suspected leader of the Los Zetas cartel in the violence-racked Gulf coast state of Veracruz, officials said Saturday. Amado Mercado Guerrero, "El Indio" a former police officer in several towns of Veracruz and the purported head of a Zetas cell in the northern part of the state, was arrested Friday, the federal Public Safety Secretariat said in a statement. 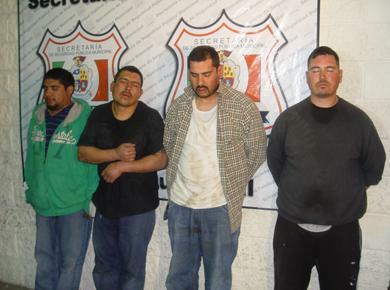 Authorities said several kidnapping probes in that region led them to Mercado, whose area of influence covered the Veracruz municipalities of Tlapacoyan, Martinez de la Torre, San Rafael, Vega de Alatorre, Tuxpan and Poza Rica, the statement said. The suspect headed a group of criminals that extorted business owners and kidnapped those who refused their demands and members of rival gangs, it added. In early 2010, while working as a police officer in the Poza Rica-Coatzintla-Tihuatlan tri-city area, Mercado provided information and protection to the Zetas, the secretariat said. After a restructuring within that drug mob in late 2010, Mercado began collaborating closely with Leonardo Vazquez, the Zetas’ leader in Poza Rica, running an extortion racket and carrying out kidnappings, vehicle thefts and drug smuggling at his behest. 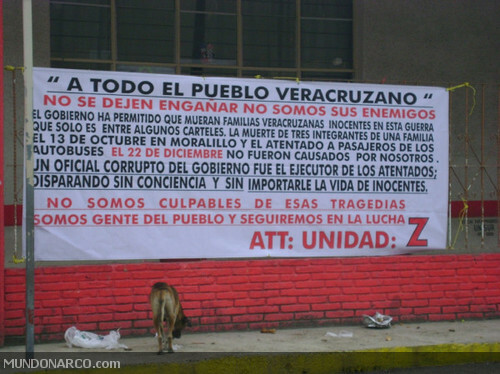 After Vazquez was killed in a clash with federal police on Jan. 19, 2011, Mercado assumed control of the towns his boss had led. The suspect will be held in pre-trial detention in the Pacific state of Nayarit, the secretariat said. In that same area of Veracruz, authorities on Friday found the bodies of 10 people – most of them decapitated – and on Thursday a group of five gunmen killed 11 people in a series of attacks before they were slain in a clash with army soldiers. Los Zetas, which is led by Heriberto Lazcano Lazcano, known as “El Lazca,” is considered Mexico’s most violent drug cartel. Lazcano deserted from the Mexican army in 1999 and formed Los Zetas with three other soldiers, all members of an elite special operations unit, becoming the armed wing of the Gulf drug cartel. The federal government launched an operation dubbed “Safe Veracruz” in October, deploying federal forces and strengthening intelligence efforts to tackle a wave of drug-related violence in the state. The killings were blamed on the Jalisco Nueva Generacion drug cartel, also known as “Los Mata Zetas” (The Zetas Killers), which emerged amid a reorganization within the Sinaloa drug mob following the death in 2010 of one of its top leaders, Ignacio “Nacho” Coronel. Jalisco Nueva Generacion has been fighting the Zetas for control of Veracruz state, where the Gulf cartel and breakaway members of the once-powerful La Familia Michoacana mob also operate. Veracruz is prized by organized crime as a key drug-smuggling corridor to the United States and as a route used each year by thousands of mostly Central American migrants, who are preyed upon by gangs and corrupt officials on their northward journey. President Felipe Calderon militarized the struggle against the nation’s heavily armed, well-funded drug cartels shortly after taking office in December 2006, deploying tens of thousands of army soldiers and federal police to drug-war flashpoints. The strategy has led to headline-grabbing captures of cartel kingpins, but drug-related violence has skyrocketed and claimed more than 50,000 lives nationwide over the five-year period. Ten bodies were found in a town in the northern part of the Mexican Gulf coast state of Veracruz, a region battered by a wave of drug-related violence in recent days, officials said. The corpses were found Friday morning near Veracruz’s border with the neighboring state of Tamaulipas, the Veracruz state Attorney General’s Office said. Although authorities did not provide details of crimes, sources said the slain individuals were dumped in the town of Tampico Alto and that the bodies bore signs of torture and some had been decapitated. The bodies were found 24 hours after 16 people were killed in violent incidents in that same region, including seven civilians who perished in attacks by an armed commando on three passenger buses. The Gulf, Los Zetas, and the relatively new Jalisco Nueva Generacion cartels, as well as breakaway members of the once-powerful La Familia Michoacana crime syndicate, are fueling the violence in Veracruz, where more than 500 people have been killed this year. Residents of Veracruz city, until recently relatively untouched by drug-related violence, were stunned on Sept. 20 by the discovery of 35 bodies dumped on a busy thoroughfare. The recent uptick in violence prompted the federal government to deploy the military to the state in October. The federal operation involves cleaning up local police departments and strengthening intelligence efforts to bolster security across Veracruz state, which is Mexico’s third-most populous and is coveted as a key drug-trafficking corridor to the United States. Elsewhere, Mexican authorities on Friday found the decapitated bodies of three men under a bridge near the city of Los Mochis, Sinaloa state, officials said. Two of the heads had their eyes bandaged and had been placed over the word “halcon” (falcon) and a drawing of that bird, state police said in a statement. “Halcon” is a slang term in Mexico that refers to informants for drug-trafficking groups, often taxi drivers, who lead cartel hit men to their targets. The bodies had their hands tied behind their backs and bore signs of torture, the statement said, adding that agents with the Sinaloa state Attorney General’s Office, army soldiers and local police cordoned off the crime scene. The three victims were found in the same place where authorities on Thursday discovered the corpse of a municipal police officer kidnapped on Dec. 18. That body also bore signs of torture and was found alongside a message apparently left by the killers, although it was not made public. Numerous gangs are involved in the fight for control of drug-trafficking routes in Mexico, including the powerful Sinaloa and Los Zetas cartels. The mobs’ turf wars and their clashes with security forces have left more than 50,000 dead since December 2006, when newly inaugurated President Felipe Calderon took office and militarized the struggle against organized crime. The Mexican army announced Sunday that it had captured the head of security for Sinaloa drug cartel head Joaquin "El Chapo" Guzman, one of the world's most wanted men. The suspect, who was not identified by name, was captured in the Sinaloa state capital of Culiacan and will be presented to the media Monday morning, the army said. Guzman, Mexico's top drug lord, is one of the world's richest men, and has eluded authorities by moving around and hiding since his 2001 escape from prison in a laundry truck. The army said the man they had arrested also ran cartel activities in Durango and southern Chihuahua state, and was responsible for carrying out secret burials of cartel victims, kidnapping, extortion and arson. They did not say if the arrest moved the military closer to capturing Guzman, an arrest that would be seen as a major victory for the government of President Felipe Calderon. Guzman is worth more than $1 billion, according to Forbes magazine, which has listed him among the "World's Most Powerful People." He has a $7 million bounty on his head, and thousands of law enforcement agents from the U.S. and other countries working on capturing him. His cartel controls cocaine trafficking on the Mexican border with California and has moved eastward to the corridor between the Mexican state of Sonora, which borders Arizona. Separately, Mexican soldiers discovered 13 bodies in an abandoned truck Sunday along with a message that they were killed in a war between rival drug cartels in the eastern state of Veracruz, officials said. 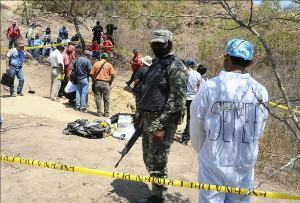 The bodies were found in Tamaulipas state, a few hundred yards (meters) from its border with Veracruz, according to the Tamaulipas attorney general's office. The area has been the scene of bloody battles between the Gulf and Zetas cartels, and a pair of banners alluding to a rivalry were found in the truck, the statement from the attorney-general's office said. On Friday, the attorney general's office in Veracruz said it had found 10 bodies in a different area along the border with Tamaulipas after receiving a tip. On Thursday, three U.S. citizens traveling to spend the holidays with their relatives in Mexico were among those killed in a spree of shooting attacks on buses. In the spree, a group of gunmen attacked three buses in Veracruz, killing a total of seven passengers. The Americans killed were a mother and her two daughters who were returning to visit relatives in the region. The five gunmen who allegedly carried out the attacks were later shot to death by soldiers. Earlier, the gunmen also killed four people in the nearby town of El Higo, Veracruz. Local police in Veracruz have become so corrupt that on Wednesday the government decided to dissolve the entire force in the state's largest city, also known as Veracruz, and sent the Navy in to patrol. Some 800 police officers and 300 administrative employees were laid off. A video where Los Zetas question and execute three members of the Gulf Cartel, a Christmas gift to the CDG and Los Carteles Unidos. Alone for Christmas: South Texans separated from Mexican relatives by drug violence, immigration statuses. This Christmas season, as 40 of Silvia Rodriguez's family members gather at her sister's house in Monterrey, she will stay 300 miles away, separated by drug violence. While they eat turkey, smash piñatas and perhaps get a visit from a Santa Claus the family sometimes hires to pass out gifts to children, Rodriguez, the youngest of the nine siblings, won't be there. Once again, the violence in Mexico will force Rodriguez to stay home with her husband and children in Corpus Christi. Frayed family ties, another casualty of the drug war, are an especially stark reality during the Christmas season. "I'm very sad, very sad," she said. "Because with all my heart I want to go to Mexico." For many with family across the border, December can be a lonely month. Violence fueled by the drug cartels has spiraled out of control in recent years, making it increasingly difficult for South Texans to see their parents, siblings, grandparents, cousins and, in some cases, their own children in Mexico. Though millions of U.S. citizens safely visit Mexico each year, the U.S. Department of State has cautioned that residents avoid nonessential travel to many areas, particularly border regions where carjackings and highway robberies are serious problems and have at times led to murders, according to the most recent travel warning issued in April. Most of the more than 30,000 people killed in narcotics-related violence are members of drug cartels, but innocent people also have been murdered, according to the state department. Rodriguez, who lived in Mexico until she was 22 years old, used to visit four times a year when it was safe. Now her elderly mother begs her not to come. "She said, 'I'm fine. Don't worry. But don't come. It's very dangerous,'" she said. Some families have gone years without seeing relatives across the border, said Rev. Owen Ross, a Dallas church pastor whose 120-member Spanish-speaking congregation is made up mostly of immigrants and their children. "There's a feeling of longing, of homesickness for those who have to go so many years without seeing their grandmothers or others when they were used to seeing them once or twice a year, or even more," he said. In Corpus Christi, more than three dozen parishioners gathered Thursday for Spanish Mass at a small church on the Westside. Those who cannot see their blood relatives in Mexico have found in the small, cinder block church their second family, Deacon Manny Maldonado said. The Nuestra Señora de San Juan de los Lagos Madre de la Iglesia parishioners bond with others who feel similarly isolated, Maldonado said. 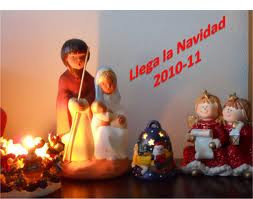 The Catholic church has tried to ease the pain of familial separation by offering funeral Masses for church members' relatives who died in Mexico and embracing Mexican traditions, such as the celebration of posadas, a Christmas custom re-enacting Mary and Joseph's journey to find a place for Mary to give birth to Jesus. On Thursday, more than three dozen parishioners emptied into chilly and darkened neighborhood streets after rosary, marching past houses fringed with Christmas lights and singing "Preparen el Camino del Señor," as they paid homage to the tradition many remembered from their childhood. It's important to continue to celebrate those customs, such as posadas, so the children and grandchildren of Mexican immigrants never forget their heritage, said María Alicía Valdez of Corpus Christi. That's particularly true now that the border has become a barrier between families. "It's stopping the children from learning more from their roots and where they came from," she said. "They don't have access to go over there and see relatives and see how things are during Christmas like I did." Valdez, who grew up in San Antonio, remembers spending Christmases at her grandmother's house in Monterrey when neighbors flung open their doors and children played outside. When she visited three years ago, the colonia of her memories had been fundamentally altered, she said. Cars with foreign license plates were not allowed inside the neighborhood and she was encouraged to leave before dark, she said. "It's very sad how everything has changed," she said. Despite the violence, Ross believes many more would continue to risk visiting Mexico if they were able to gain legal status in the United States. Many illegal immigrants will not chance a trip across the border for fear that they would not be able to return, he said. While Antonio Rodriguez Ramiro was able to get legal status, his son was not, meaning this is the first Christmas the two will spend apart in yet another example of how the border has become a barrier between families. Ramiro initially came to the United States illegally but was granted amnesty in the 1980s and has since worked to secure the necessary papers to legalize his wife and six children, he said through a translator. He has been successful for all but his 20-year-old son, who was sent back to Jalisco in June. Ramiro's sisters and father in Mexico have never been able to visit him in the United States because they don't have the necessary paperwork to do so. Now, his son is in the same position, trapped in Jalisco away from his parents and siblings. Ramiro doesn't worry about his safety traveling to Mexico — "I'm a have-not," he said. But he must continue to work this season, so his wife and kids traveled to Jalisco, leaving Ramiro and his 18-year-old daughter at home by themselves for Christmas. Without the cheery bustle of his wife and children, the house lacks its typical vibrancy, Ramiro said. The only signs of the season are a vase of silk poinsettias and a small, heavily laden Christmas tree propped atop a coffee table pushed against his living room wall. "I'm very lonely," he said. "I feel sad. I get to the house and the house is empty and it doesn't feel comfy. Because nobody is there." This Christmas, he said, doesn't feel like Christmas at all. On behalf of our Borderland Beat community, we want to wish everyone a Merry Christmas. May all of you be happy at home and let's pray that the the less fortunate who live a misery life find peace in the beacon of light through hope and prosperity on this special holiday season! We will slow it down a bit, thank you! Three U.S. citizens traveling to spend the holidays with their relatives in Mexico were among those killed in a spree of shooting attacks on buses in northern Mexico, authorities from both countries said Friday. A group of five gunmen attacked three buses in Mexico’s Gulf coast state of Veracruz on Thursday, killing a total of seven passengers in what authorities said appeared to be a violent robbery spree. An official of the neighboring state of Hidalgo said the Americans killed in the attack included a mother who was born in the area, and was returning with her two daughters to visit relatives in the region, known as the Huasteca. A 14-year-old nephew from the Mexican border city of Reynosa who had joined the three family members on the trip was also killed, said Hidalgo state regional assistant secretary Jorge Rocha. A U.S. embassy official confirmed the women’s nationalities, but could offer no information on their ages or hometowns. The official, who was not authorized to be quoted by name, said consular authorities were offering assistance to the victims’ relatives. Rocha identified the dead U.S. mother as Maria Sanchez Hernandez, 39, of Fort Worth, Texas, and the daughters as Carla, 19, and Cristina, 13. However, the embassy could not confirm the names. Rocha said Karla appeared to have been born in Mexico, and that all three held dual citizenship. While funeral plans were unclear, Rocha said Sanchez Hernandez’s mother wants her daughter to be buried in Mexico. Rocha said the other bus passengers killed in the attacks were a young Mexican couple, who left behind a three-month-old baby boy, who survived the attack. A bus driver was also killed. Five gunmen who allegedly carried out the attacks were later killed by soldiers. Earlier in their spree, the gunmen shot to death three people and killed a fourth with grenade in the nearby town of El Higo, Veracruz. On Thursday, the U.S. Consulate General in Matamoros, a Mexican border city north of where the attacks occurred, said in a statement that “several vehicles,” including the buses, were attacked, but did not specify what the other vehicles were. While the specific area where the Thursday attacks occurred is not frequented by foreign travelers, other parts of the Huasteca — a hilly, verdant area on the Gulf coast — are popular among Mexican tourists and some foreigners.The attack occurred near the border with the state of Tamaulipas, an area that has been the scene of bloody battles between the Zetas and Gulf drug cartels. Quieres ser patriota?.....Chinga a un sicario! Z-40 denies challenging the Mexican government. Blame it on the "futbol"
What do Los Zetas and McDonald's have in common?